NEW YORK -- A Russian native was charged with poisoning a look-alike with a tranquilizer-laced cheesecake and then stealing her passport, cash and other property after trying to make it look like a suicide attempt, authorities said Wednesday. "This is a bizarre and twisted crime that could have resulted in the death of a Queens woman, whose only fault was that she shared similar features with the defendant," said Queens District Attorney Richard Brown. The suspect, Viktoria Nasyrova, 42, of Brooklyn, was arraigned Tuesday on attempted murder, burglary, assault and other charges after being arrested in March 2017. Her lawyer, Barbara Byrne, declined to comment. In an earlier interview with CBS, Nasyrova denied forcing the woman to eat the cheesecake. In August 2016, Nasyrova, visited the Forest Hills, Queens, home of the 35-year-old victim bearing a gift of a cheesecake, said Brown. He added that both women have dark hair, the same skin complexion and speak Russian. "The woman ate the cheesecake, fell ill and laid down," Brown said. "Before passing out, the woman's last memory is of seeing the defendant sitting beside her inside her home." The following day, a friend found the victim unconscious in her bed, "dressed in lingerie with pills scattered around her body as if the woman had attempted to kill herself," Brown said. The woman was treated at a hospital and when she returned home she realized that her passport and employment authorization card were missing, along with a gold ring and cash. 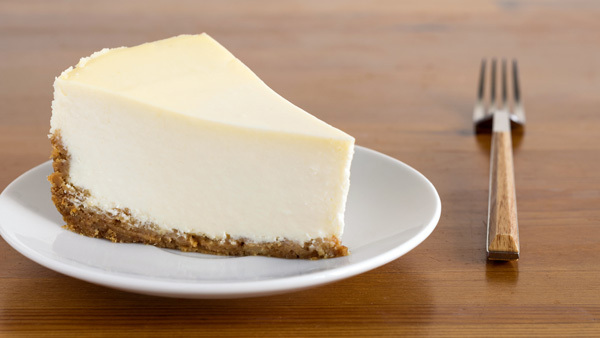 Law enforcement agents with the Department of Homeland Security tested the cheesecake and confirmed it was laced with the Russian tranquilizer Phenazepan. The pills contained the same drug as well, Brown said. Nasyrova also is accused of drugging and killing a woman in her native country before fleeing to New York. She denied those charges in the CBS interview. Nasyrova faces up to 25 years in prison if convicted. She's next due in court May 25.